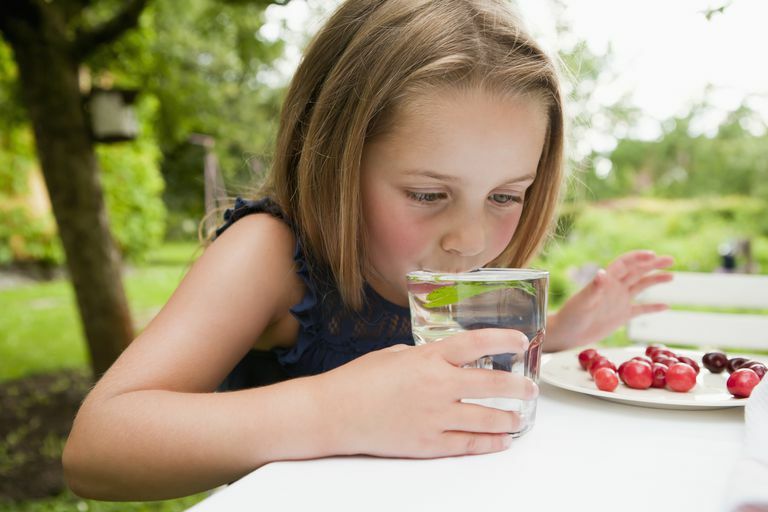 Whether or not your child is an athlete, he or she could probably stand to drink more water. Staying hydrated is essential to good health (for children, teens, and adults). Research even shows that when kids have better access to drinking water at school, obesity rates go down. So make it a priority to get your kids slurping down as much H2O as you can. Their exact intake needs will vary based on their height, weight, and even the weather, but six to eight cups a day is a good goal for most children. How to get there? Try these strategies. iDrated: This one is for the data-lovers. You can see your intake stats for the day or the week, set reminders, and change the target hydration level to one that works best for you (99 cents, iOS). Fancy Ice Cubes: You can find trays that make cool cubes for Lego lovers, Star Wars fans, and creative types (make suns, stars, trees, flowers, and sea life. You can also make good old rectangular ice, but add fruit or mint leaves for a hint of flavor and a burst of color. Fruit Garnish: Instead of adding fruit to your ice, you can also take a cue from fancy spas and beach resorts, and add it directly to your water. Drop sliced fruits or berries right into your water pitcher, or try a water bottle with a built-in infuser. Bubbles: Not all kids like carbonation, but if yours do, consider buying seltzer water for them or investing in a Sodastream for your family. It allows you to bottle your own fizzy water at home. If you'd like to flavor it, you can do that too, and you'll have more control than if you purchase flavored sweetened drinks. Gimmicks: If you're really desperate, or as a special treat, win kids over with flavored water pouches or just-for-kids bottled water. A cool or cute bottle can encourage kids to drink more water, and so can having a special bottle or cup that you carry with you all the time. Plus, refillables don't generate waste. Your kids might prefer a straw cup or a small bottle or cup that they fill up frequently. Sometimes that's less intimidating than a grown-up size serving. And at home, you can have a stash of fun drinking straws to prompt more water intake.